This small and elegant gift hamper can be a very pleasant gift for anyone. The hamper is assembled with savory treats of Rosey Apples sweet jar, Belgian chocolates, Chocolate coated almonds and some refreshing tea to compliment with. It is a splendid gift you can send to your family and friends for a special celebration or just a reminder. 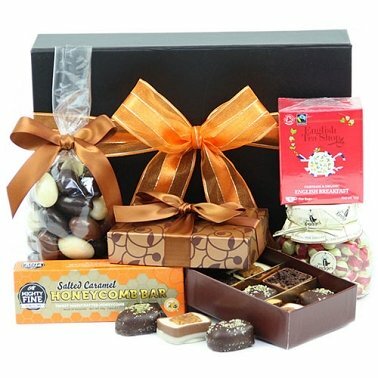 Make the best and most astonshing gift hamper delivery to UK and share the love.